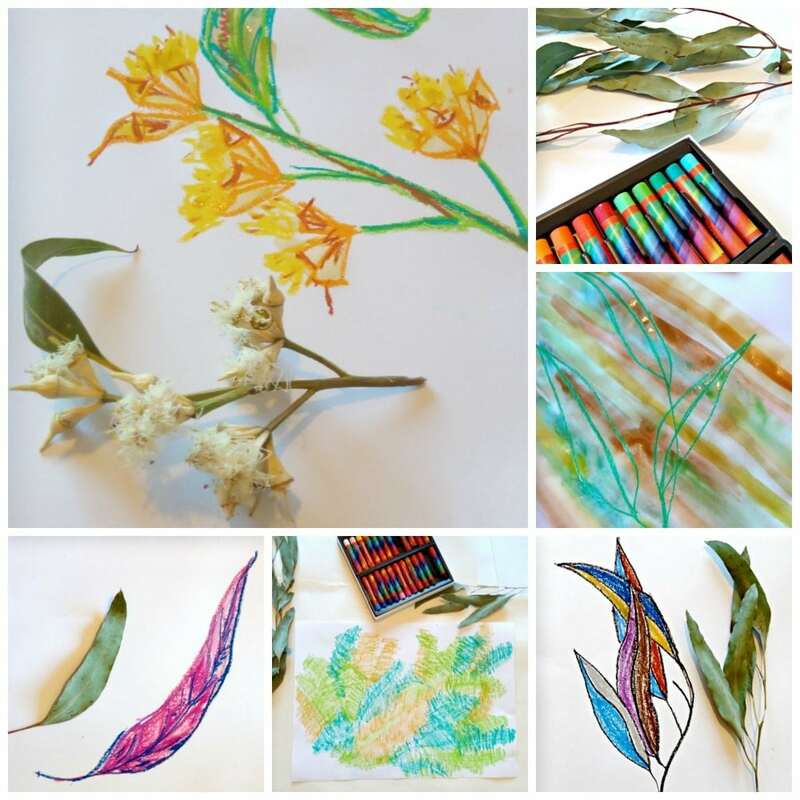 Drawing with Oil Pastels allows for vibrant colouring, easy blending and smooth rubbing. They are an easy medium to use although they are soft and can leave colour on your hands this can easily be wiped off with a baby wipe or damp cloth. Keep one handy so you don’t leave fingerprints on your masterpieces! 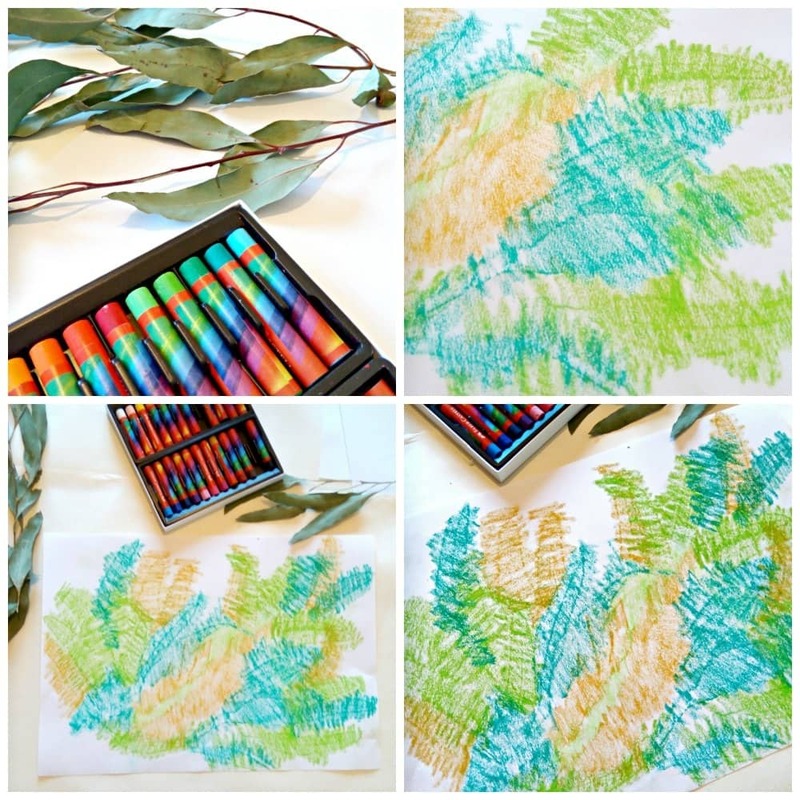 Leaf Rubbing is a great place to start experimenting with oil pastels. 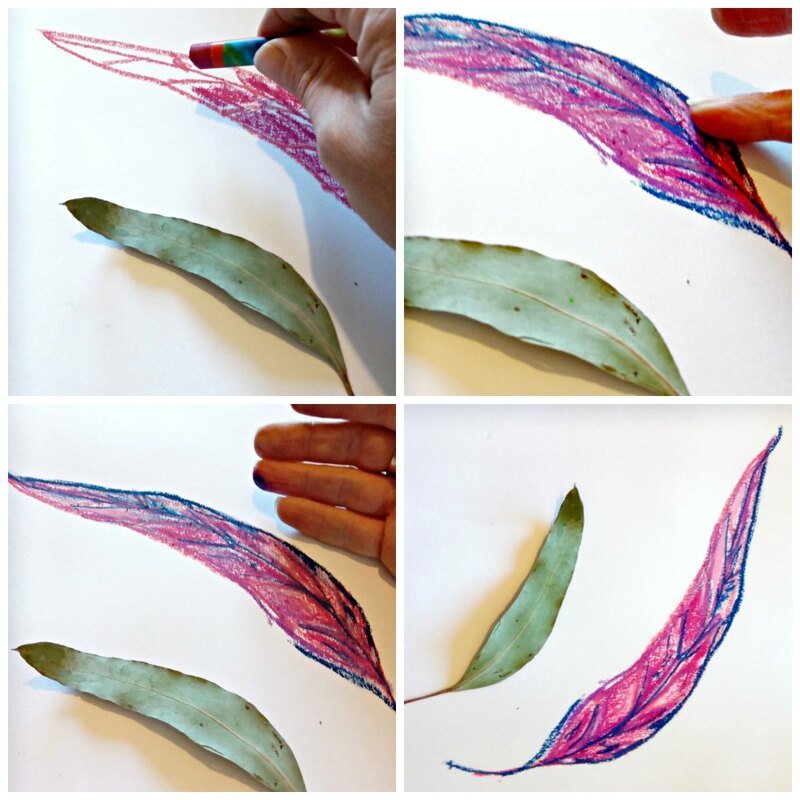 You place the gum leaves under your paper and rub the oil pastels over the paper. 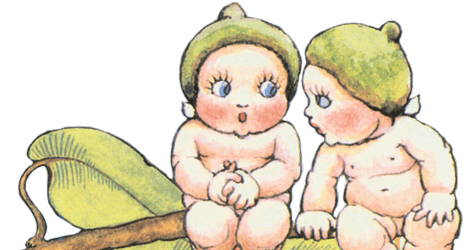 You will get outlines of all the leaves. 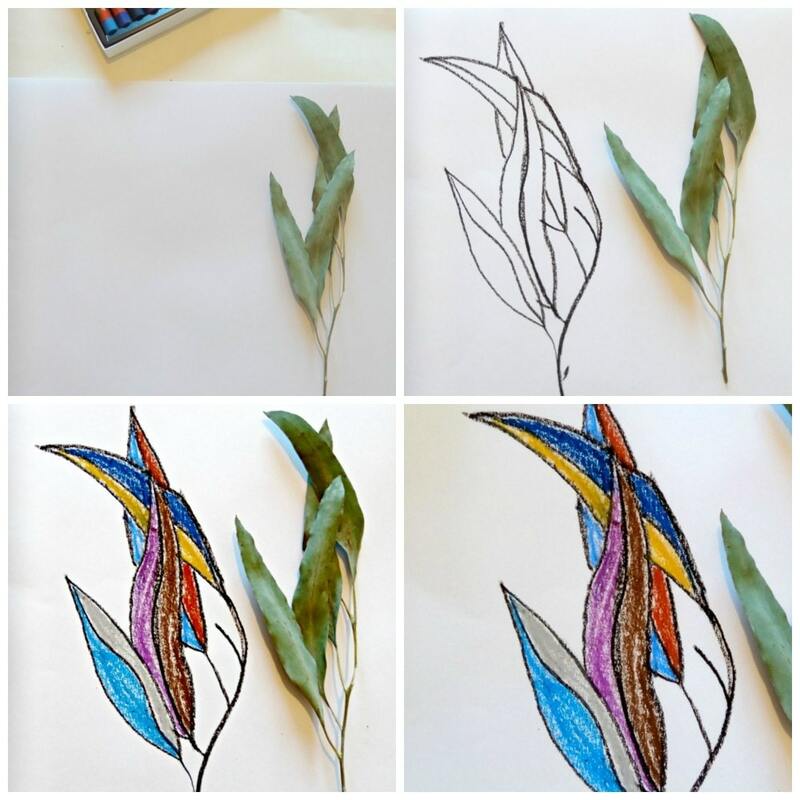 You could do this with single leaves or here we used a whole branch and alternated the colours for a whole page of beautiful leaves. Oil Pastels are great for vibrant colouring. Here we practiced our drawing and drew just the outline of our leaves then coloured the different spaces in solid colours. You could make your drawing realistic or as wild as you like! Learning to use oil pastels is fun. Experiment with blending and layering colours. We used different shades of the same colours here and blended them. You could easily fill a whole page by colouring and blending with with oil pastels. 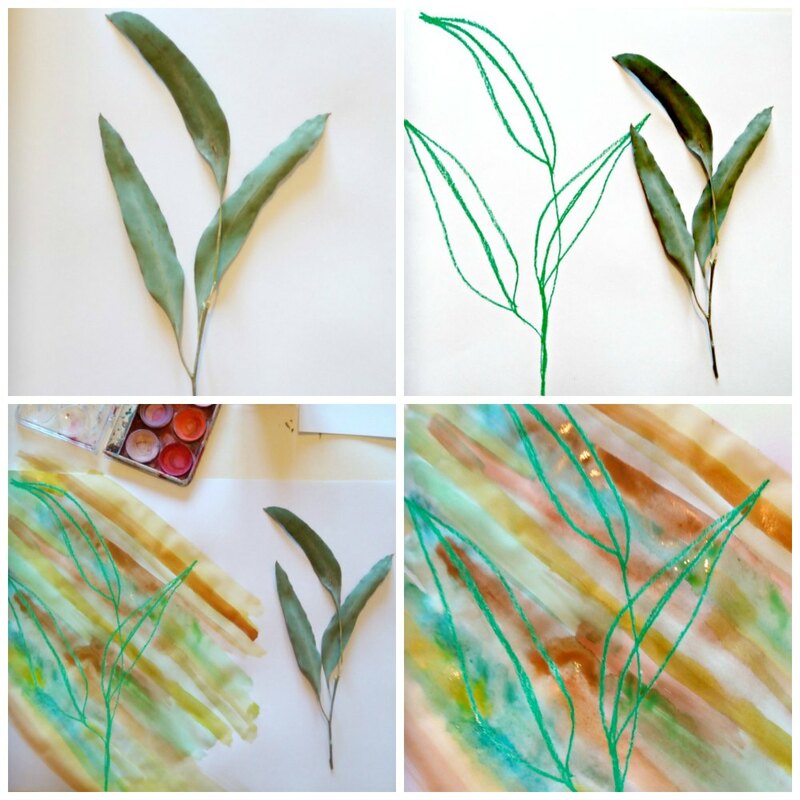 Oil Pastels are also great to use with watercolor paints. The Oil pastels resist the paint and the paint just beads off. It’s a fun way to create, my kids love drawing and painting like this. You could draw a whole bush landscape and then paint over brown for the bush floor, green for the trees and blue for the sky. Here we enjoyed just drawing still life. 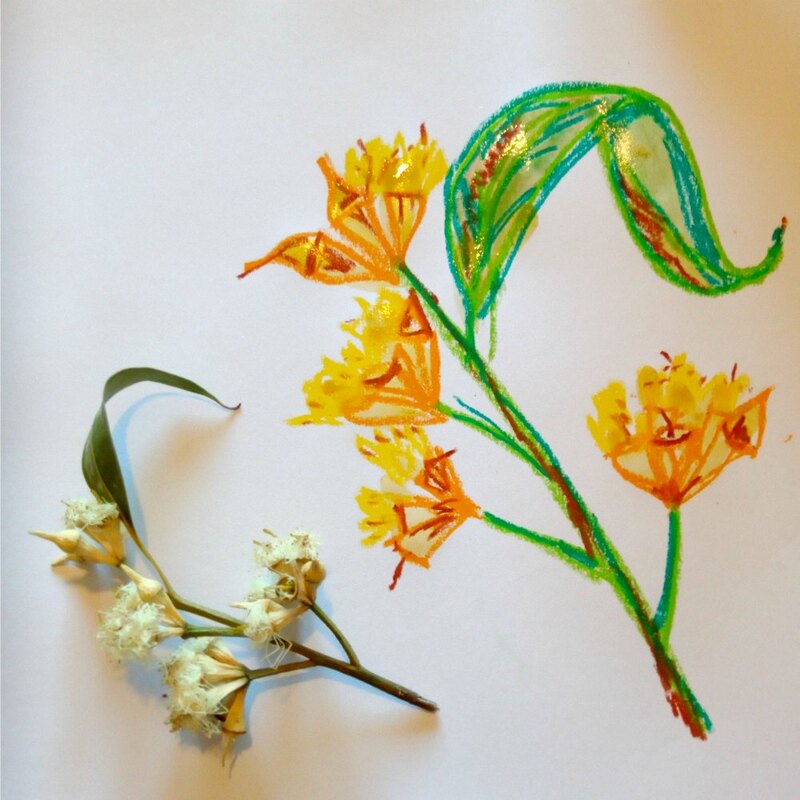 We concentrated on expressing the shapes, colours, tones and textures of our dried flower blossoms. You could just draw a leaf or try a whole arrangement.